A while back I talked about 12 elements each email campaign must include. Now, let’s talk about how to properly prep your emails and your website to decrease chances for user frustration, including website overloads. Hopefully your next campaign will send a slew of visitors to your website. If it does, thought, there are chances the server won’t be able to handle all the hits. There are steps you can take, though, to make room for the most possible amount of shoppers to the site. 1. Don’t reference images on your own server. It’s easier and less time consuming to call images from your website. Unfortunately, that also means for every email that’s opened, multiple hits to image files are going to occur. This alone can cause a disruption in service, especially for smaller businesses who are hosting on a budget. 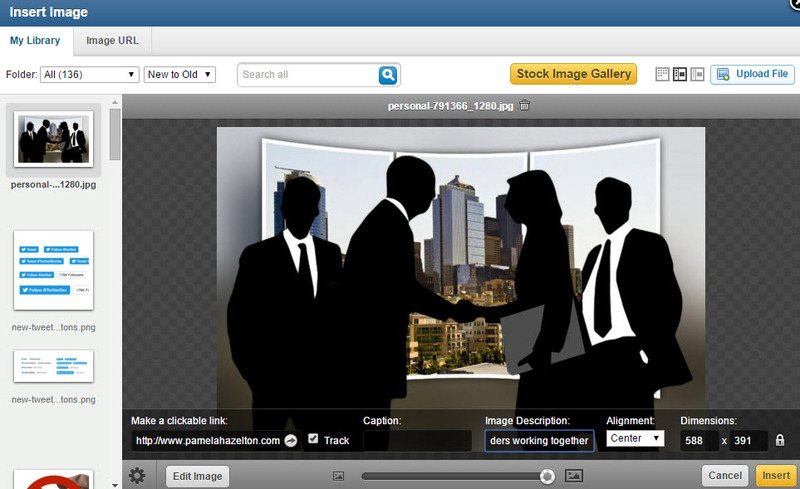 Instead, upload the images to email marketing solution software (I use Constant Contact). If the system you use doesn’t allow for this, consider an inexpensive third-party solution for hosting images for email newsletters, or use a public DropBox folder. Same goes for video and other media files. 2. Tweak Landing Pages for optimal handling of simultaneous page hits. Years ago one of my clients was featured on a major DIY show. As a result, 20,000+ people tried hitting the company’s website during the first hour of the show being aired. The server crashed immediately because the landing page developed by an in-house tech featured auto-play video and multiple tracking scripts. The server used wasn’t enough for the job, but neither was the content. The next time around, I helped them create a simple landing page designed to sell the one product featured on a show. Orders rushed in. Speaking of Landing Pages… These can help siphon traffic to a specific location that includes all the pertinent details. Landing pages are also great for streamlining content and providing only what’s necessary to close a sale. You can link to supporting pages for those who want to spend more time researching your offers. 3. Send the email from a legitimate address. This not only eliminates frustration for recipients, but it also routes those with questions to you directly, opposed to sending them to a web page that loads a form. The idea is you want to reserve every server resource possible for those who want to actually buy something. Remember, auto replies use resources, too. 4. Double check all links. Every link in the email should go to the expected page on the site. That means when mentioning specific products, link to the specific page for the product. And test! Errors in links can result in server issues, and accidentally linking to script files can leave the website vulnerable. 5. Check server logs, analytics and error reports after sending. Should something slip through the cracks, you want to be able to address it quickly. Broken links, for example, can be addressed using server redirects. Most importantly, keep emails simple. The most important thing is to convey a clear message. Bells and whistles may look nice, but if they aren’t imperative to selling the product, reserve them for those wanting to dig a little deeper.